Sometimes, writers write about writing. It’s sort of a weird thing to conquer – how do you, as an author, write about a character who’s also an author without just writing about yourself? How do multiple authors write this concept? The stories have the same general idea – a novel about a writer – but the key to each story is in the details. The characters are writing in different mediums and their need to write is driven by all kinds of different reasons. All of these narratives are true to life for some writer out there, and all of them are incredible. 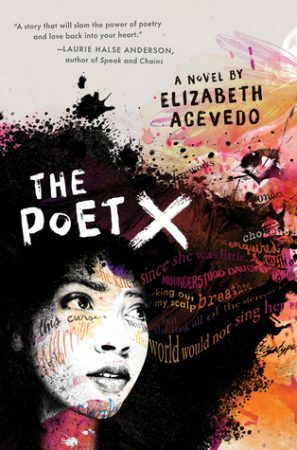 The Poet X is about Xiomara, a girl who feels unheard and has many feelings, but only seems to be able to express them in her journal, pouring everything onto the pages – including her feelings for a boy and complicated feelings about her mother’s dedication to the church. When she’s invited to join the school’s slam poetry club, she’s unsure about speaking her truth aloud and knows her mother can never know. The entire novel is written in verse and focuses on Xiomara finding her voice, literally. Reshma, the protagonists of Enter Title Here, is a college counselor’s dream who’s looking for something that will make her application to Stanford stand out. 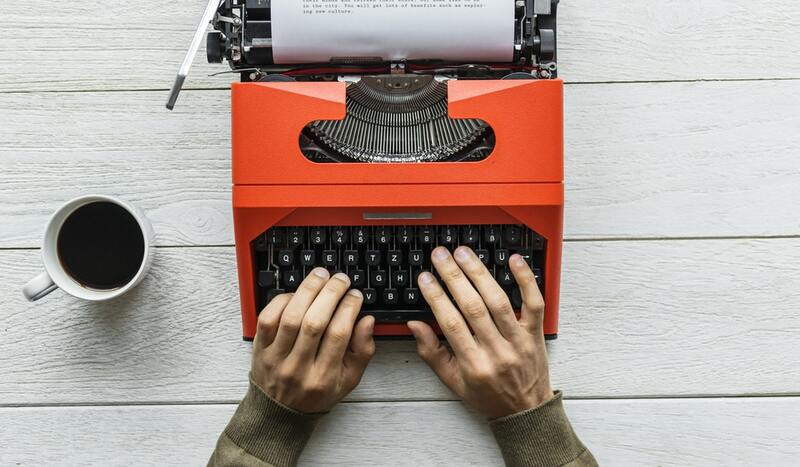 After a literary agent signs her based on an article she wrote, she decides to write a novel to get a book deal to truly make a statement, but she believes she has to write a novel about herself – and to do that, she has to be more interesting. She writes more for the supposed prestige than for a love of writing, but her desire to craft a good story is what changes her life. 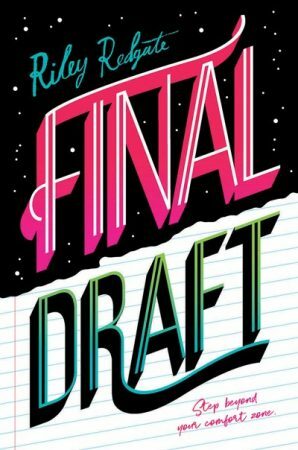 Laila Piedra has always written stories in Final Draft. And her creative writing teacher has always encouraged her and told her she’s special. Then months before graduation, he’s replaced by a Pulitzer Prize winning author who’s not nearly as impressed. Laila is determined to get the approval of her teacher and pushing herself outside of her comfort zone to do it. Even those who aren’t writers can understand losing your greatest supporter and trying to impress a harsh, but highly admirable, critic. In Fangirl, Cath is a fanfiction writer, having grown up in this fandom and unsure how to let go. The fanfiction is so important to the story, Rainbow Rowell even ended up writing an entire, separate novel of Cath’s fanfiction. Some of Cath’s journey is about growing beyond fandom, but it’s also about finding a community outside of fandom that still respects the things she loves. She’s going to write her way through the difficulties of growing up and leaving home and what to do when your friends seem to move on from you. Scott Westerfeld tackles a writing protagonist differently. Darcy Patel gets a major book deal and moves to New York City to get fully involved in the YA publishing world. She goes to the book events and the parties and meets another writer she falls in love with. But she’s also trying to revise her highly-anticipated novel and figure out the ending. Readers get to follow her through the process because every other chapter of Afterworlds is Darcy’s novel. We get to see firsthand how her real life experiences inform the way she writes her book. Eliza Mirk is shy and friendless in real life, but online, she’s the creator of a popular webcomic, with thousands of fans and friends, even if they don’t know her real name. Then a new boy transfers to her school – and he’s a well-known fanfiction writer for Eliza’s comics. He assumes she’s just a reader of his fanfic, never knowing that she’s behind the webcomic, and tries to draw her out. 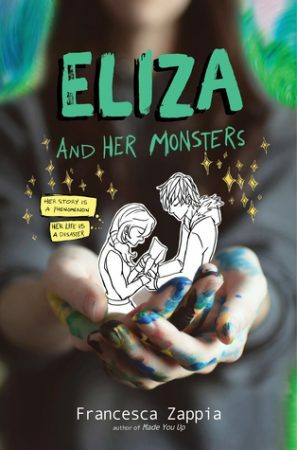 But her secret gets out and the careful balance Eliza had been balancing between online and real world falls apart in Eliza and Her Monsters. This kind of story is more relevant now than it ever has been as we can connect to people all over the world online and can live lives that those that see us every day would never expect. How do you balance it and how do you combine them? It doesn’t seem possible to take this one, fairly specific concept, and write such varied, universal stories, and yet that’s what’s happening in YA. Each of these books explores different parts of not just a writer’s life, but many teenagers’ lives. Have you found things you can relate to in a book about writers? Tweet us @piquebeyond and let us know!